Earlier this year I had the pleasure of leading a group of potential residents on a week-long trip around Costa Rica. I would venture to say their ages ranged from 45 to 60 years old. Most came here to explore the country with the goal of eventually relocating. After a week of travelling all over the country, viewing mother nature's wonders and attending a series of informative seminars, the majority of the participants had decided they would like to live here for at least part of the year. After reading this you may ask yourself, "What would anyone find attractive about living in Costa Rica?" Let's look at why a tropical paradise like Costa Rica is so appealing to North Americans. The most obvious reason is the weather. People are tired of freezing winters, scorching summers and the high utility bills that go with them. There are only two seasons in Costa Rica: the dry and the rainy. Both times of year are blessed with an abundance of sunshine. According to National Geographic, Grecia—one of the towns in Costa Rica's Central Valley—purportedly has one of the the best climates in the world. In the Central Valley you rarely need air conditioning and never need to heat your home, making utility bills very low. Even those who are fortunate enough to live in warm weather areas like Florida or Southern California dislike the fast-paced lifestyles of both places. Costa Rica really fits the bill for anyone who is sick of hustle and bustle and wants to live in a country with a more laid-back way of life. One of the participants on our tour remarked, "Costa Rica reminds me of the U.S. about 40 years ago when everything was unspoiled, unhurried and uncrowded." Much has been written about the high cost of living in Costa Rica. Really the country is very affordable. The amount of money you spend really depends on your lifestyle. If you are accustomed to expensive goods from the states, being a shopaholic, eating out and bar-hopping every night, living "high on the hog" like a tourist or having a late-model car and luxurious home, then you will spend almost as much or in some cases even more money than you do in the States. However, if you learn to live like the locals and watch your spending habits, you can live very well. I have a wife and son, a car, a home, a part-time maid, and my son goes to one of the best private schools in the country. We eat out a few times a week and indulge in other forms of entertainment. The three of us enjoy a comfortable lifestyle on about $2,500 monthly. We even save enough to spend a week at the beach at Easter and go to the States at Christmas. You truly can get more for your money in Costa Rica. This seems to be the primary concern and determining factor when contemplating making the move to another country. In Costa Rica, a favorable exchange rate and lack of mega-inflation enable you to stretch your dollars. The cost of medical care, food, utilities and entertainment are substantially lower than in the states. A phone call to any place in the country costs the same. Housing in most areas is a fraction of what you are accustomed to paying. We just purchased a new three-bedroom, two-bath home with financing and are paying less than we did for rent here. The cost of our home was about $62,000. We pay $452.00 monthly including insurance and have a 15-year mortgage in dollars. Property taxes are rock-bottom and there is no capital gains tax if you sell your home. Hired help is also inexpensive. A full-time maid may even be hired for for as little as $200 monthly—a luxury reserved for only the wealthy back home. Some of the neighboring countries like Nicaragua, Belize, Honduras and Guatemala are less expensive, but the quality of life and lack of infrastructure leave a lot to desire. Safety is another concern. Gunslingers and paramilitary police abound in both Honduras and Guatemala and violent crime is rampant. Belize City is said to be extremely dangerous. So, you really get what you pay for in these countries—a lower quality of life. In Costa Rica there are a myriad of business opportunities awaiting creative hard-working individuals. It is relatively easy to run a global business from abroad taking advantage of easy Internet access, fax machines, cell phones and other improved means of communication. Small-time entrepreneurs are enamored with the prospect of being able to start a business on a shoestring. They could never dream of doing this back home. There are even tax breaks for U.S. citizens residing in foreign countries. While living outside of the United States, those people with proof of permanent residency status are permitted by law to make almost $80,000 tax free. Passive investors can find higher yielding C.D. 's, second mortages and other lucrative investments that don't exist in the U.S. or Canada. We know of several investments which pay 25-30% in dollars annually. No bull! One company has a 25-year track record. Others choose to move to Costa Rica to start over and seek adventure in an exotic land. Fitting into this category are people tired of being stuck in dead-end jobs and the "rat race" who want new challenges, the chance to pursue their dreams and to achieve greater personal growth. Whatever their motives, moving to Costa Rica will afford them these opportunities and much more. People will most certainly make new friends since foreigners tend to gravitate towards one another when living overseas. Expats are also afforded the chance to immerse themselves in a new culture and enjoy the rewards of learning a foreign language. You will never be bored in Costa Rica unless you choose to be. The country really has something for everyone. Just pick up the weekend edition of the local English weekly, "The Tico Times," and you will literally find hundreds of interesting activities listed from movies in English to computer and bridge clubs. You name it, and Costa Rica has it. Initially living here can prove be difficult for some people. Adjustment to a new way of life can sometimes take many months for those who are very set in their ways. However, with an open mind, positive attitude and the willingness to seek out new experiences the transition can be relatively painless. Costa Rica has come a long way in the last decade and to a certain extent has become a microcosm of U.S. culture. There are cable TV, malls, imported U.S. food products, brand name American clothing and English language movies and bookstores—all of which facilitate living abroad. Improved telephone service with cell phones, the availability of both satellite and Direct TV, private mail service and the internet make it easier to stay in touch with relatives, close friends and keep up with what is going on back home, virtually eliminating homesickness. You don't even need your own computer since there are even Internet cafes here where you can communicate with your friends. While waiting for a phone to be installed in our new home, we use an Internet cafe to contact friends and do business. Americans tend to feel more at home in Costa Rica than other Latin American countries for the reasons mentioned above. No wonder there are more Americans living in Costa Rica per capita than any other country in the world. They feel safer here than in Mexico since there is no army here and violent crime is minimal. Kidnappings, drug wars and armed robberies abound in both Mexico City and Guadalajara. The Mexican police are notorious for being worse than the criminals. Nevertheless the expatriate lifestyle is not for everyone. It is best to test the waters and try living in the country of your choice for a trial period before you make the big move. If you are the type of person who is used to all of the comforts of home—efficient bureaucracy, first-class service, punctuality , etc.—then living in a country like Costa Rica will probably prove to be a frustrating experience. However, with a little more patience than usual, an understanding of the culture and people of the country and an open mind, you will surely enjoy all of the rewards living abroad has to offer. Wayne Daniels, an old friend of ours and 20-year resident of Costa Rica, once remarked when questioned about his lifestyle here, "My days are so jam packed with exciting activities and interesting experiences that each day seems like a whole lifetime. I really feel like I have discovered the fountain of youth here." Living in Costa Rica will open the door to a new and exciting lifestyle. Unfortunately many of us never consider it a viable alternative. Who knows? If you decide to take the plunge, you may never want to return home. Christopher Howard is the author of "The New Golden Door to Retirement and Living in Costa Rica," Living and Investing in the New Nicaragua" and "The Costa Rican Spanish Survival Book." To order books, see AMAZON.COM. 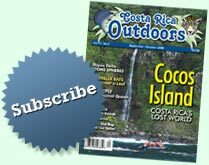 Get started planning your Costa Rican Vacation! Our agents are standing by to help you get started planning a unique Costa Rican vacation. Click here to start planning!